The morning started out like a moment out of the beginning of Sergio Leone's "Once Upon a Time in the West" - stepping off a isolated platform at what seemed to be an incongrously isolated train station for a suburban Melbourne stop. Westall surburbia was some distance removed and was found soon enough. Like the movie things soon got interesting. The day was April 8, 2006, and I was in Westall for a strange reunion of sorts - 40 years after the extraordinary events of April 6, 1966 - the Westall School UFO sensation - where numerous school children from the high school and primary school, along with some teachers and others witnessed a UFO which apparently landed nearby among the pines and scrubs of the Grange area. Witnesses reported authorities such as the police and military turning up in short order and the landing area was soon subject to all sorts of attention. "There is little doubt that something of an extraordinary nature was seen over the Westall school area and that at least one (UFO) appears to have landed and apparently left behind some physical traces. Numerous witnesses confirm these basic details. 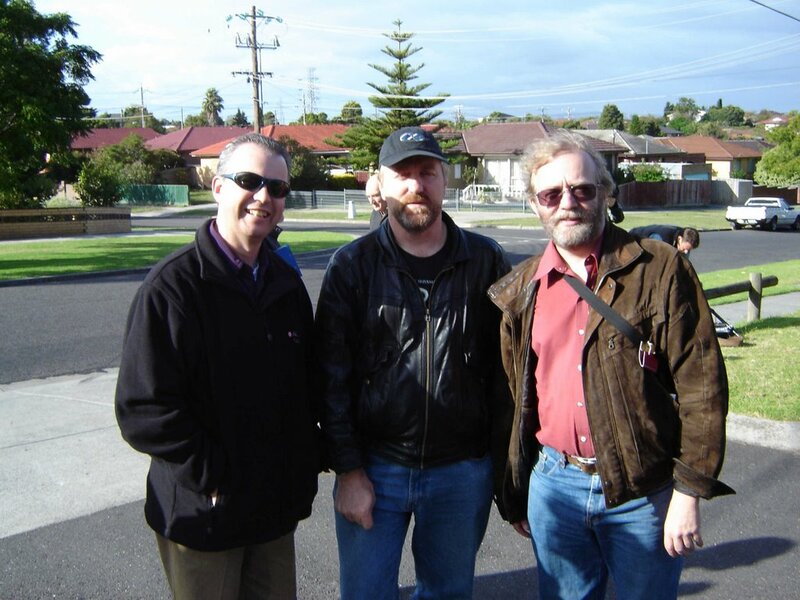 Other more exotic details vary in credibility ..."
For researchers like Canberra academic Shane Ryan, Melbourne UFO researcher George Simpson and myself the day was an extraordinary opportunity for learning a lot more about the events. Quite a number of witnesses to the events of the day turned up, making the reunion a satisfying occassion for witnesses, researchers and interested parties alike. The reunion certainly added to the momentum of recent efforts to unravel the 1966 Westall UFO mystery. 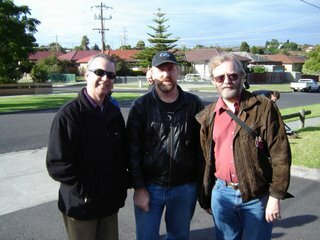 Photos: (Copyright B. Chalker 2006) Shane Ryan, George Simpson & Bill Chalker at the Westall reunion; Joy and Jeff - witnesses to the Westall UFO incident. 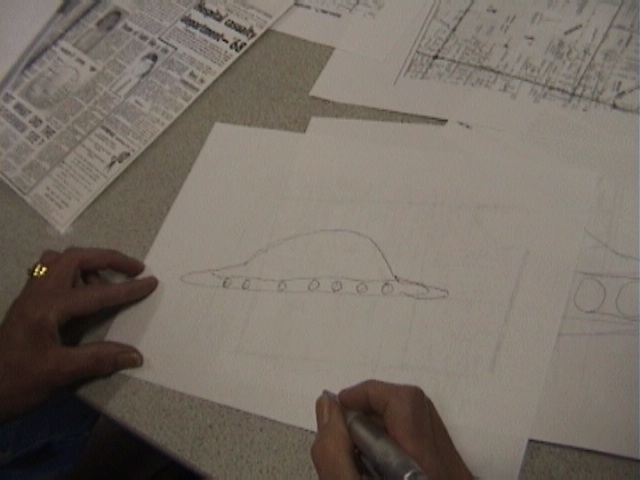 Jeff was the author of the student account in the Clayton Calendar - the Westall High School magazine; Joy's April 2006 drawing of the UFO said saw back in April 1966.